It is important to know when to spend and when to save. Personal Finance: Are you a Saver or a Spender? Managing money is a skill that is learned through practice. But is it true that the spending and saving habits could be programmed in your brain, to an extent that reversing the trends is almost impossible? The answer is no. While it is true that there are some of us who are spendthrifts or addicted to shopping or fall victims of impulse buying, it is also true that such people can be guided and coached to adopt different views on money and to a larger extent, wealth creation. On the overall, spenders are psychologically inclined to instant gratification. This means that whenever you have cash, you see it as a means to enjoying life by buying what you like or dreamt of because life must be enjoyed. 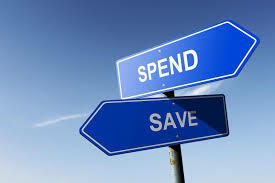 According to a research published in the Journal of Consumer Research, Rick, Cyder, and Loewenstein observed that there is a strong relationship between spending and/or saving and the activity in the insula part of the brain. They suggest that spending or saving habits are ingrained in the brain. This is against the popular belief that spending or saving habits are nurtured right from an early age. It also reinforces the idea that in the same family, with all other factors held constant, there are spenders and savers. However, if this were to be true, then we wouldn’t have cases of coaching spenders to become savers! For you to know whether you are a spender or a saver there are habits to watch out for. The basic question one should always ask oneself is whether their use of the credit card is warranted. A spender will over-rely on this facility in their purchase plans, failing to notice that this has implications on their spending plans. When the credit facility is readily available, it becomes a stimulant of impulse buying, ending up with more stuff that you did not plan for. Savers will rather use cash, as this offers them an opportunity to clearly track how much they are spending and keep it within their affordability. When you withdraw cash from your bank and keeping the tab on the balance is a habit regularly exhibited by Savers. Spenders hardly confirm their balances regularly as the dwindling bank balance does not send a signal to them that they should reduce their expenditure. This is more so because they regularly fall back on the credit card, in case the bank balance is insufficient. Savers always pay their bills as they come while Spenders are likely to pay for everything upfront or pay bills in bulk and therefore becomes impossible to just realize how money is flowing from you. As you prepare your saving goals, don’t be silent on them. Savers verbalize their goals by telling their friends and their families. This means that there is always someone you are accountable to. Spenders do not verbalize their goals most likely because they don’t have them. They are not accountable to anyone on this. Spenders do not have time to differentiate between their wants and needs. This means that on their ‘to-buy-list’, anything passes. A saver will always ask himself or herself whether what they want to buy is a need or a want and therefore apportion money appropriately. Savers will always have a budget that they follow as this will always help them track their earnings as well as their expenses. Spenders do not have this either by design or by accident. I say accident because there are those that do not know how this tool helps or are not guided well on how to use it. With the above points, you can now place yourself where you belong. If you are a spender, then you have a chance to turn things around and start saving for your future. If you are a saver, you also watch out so that you moderate your purse. Have a balance, have fun, enjoy life. Deberius lives in Kenya and has been a full-time personal finance, sale and Customer experience trainer and coach for over 8 years. He has written for numerous business and financial publications in traditional print media. He is the CEO of Uwezolink Africa, a management consulting firm and has a passion to help others achieve their dreams of financial independence. Five impeccable financial tips for Women!